Not being punctual for meeting and customer phone calls is a big no-non in the sales world. First impressions are also the lasting ones. Presentation is the first thing that a customer sees. Make sure your shirt is tucked in, your top button is done up and your tie in the right place. As well, you want to make sure your tie is long enough to hit the belt line and your belt line is in the middle. Forgetting to put on a belt may cause your pants to fall too low, which also affects your presentation. As well, keep your files organized in a duo-tang or binder. Take them out only when needed. Good sales reps know how to control themselves. Bad sales reps, on the other hand, lose their temper over every small thing. Sales environments keep people on edge, with lots of pressure coming down from the top to hit sales quotas. A good rep is able to take that pressure that comes down from above, and put a positive spin on it while encouraging, and supporting their staff members. Bad sales representatives focus too much of their attention on the product or service they are selling and not enough on the particular needs and wants of the potential and existing client. No two customers are the same; each solution you propose must be customized to their needs. Sales people without organization will fail. They cannot inspire others, motivate performance, or create sustainable value to their team. The best place to find help in keeping yourself and your tasks and schedules organized is a On-Premise CRM tool. If a sales rep doesn’t understand the concept of “service above self” they will not win over the trust, confidence, and loyalty of their customers. Any sales rep is only as good as his or her customer’s desire to buy the products they sell. Failing to admit responsibility or mistakes should not be in the vocabulary of sales rep. Making sales for your business is hard. We’re human and we make mistakes too. When we make mistakes, it impacts everyone. There is nothing wrong with apologizing and moving past them. One of the worst things you can do in sales is not know when to close a sale. It’s not just a common fault, but a lethal one as well. Not following up on a hot prospect is bad practice in sales. It is courteous and good for business to see if the customer is still interested, wants to renew or is satisfied with the product/service they received. Journalists are very picky people and for good reason. You would be, too, if you had hundreds of people a day emailing you and asking if they could feature your story….Especially when every caller is thinking that their story is more important than the last person that called or emailed you. Try implementing the following 5 tips to help build relationships with key journalists and boost the odds of getting coverage. Write a catchy subject line. If you want to break through the clutter, you need to stand out. It also helps to noticeably indicate that you are sending a release or pitch, so the recipient knows it’s not an email that is meant to be in the junk box. Personalize it. Avoid mass emails with no personalized messages. Research the journalists who cover your area and focus on what they want to hear. Target your pitch to the individual journalist and make reference to their individual work. Don’t overgeneralize. Get to the point. Your pitch is going to a journalist, not the readers just yet. You don’t need to quote each person or list every source. Offer them the general summary (abstract); the journalist will decide what to feature and what not to. Timing can be everything. Try to time your pitch with the relevant news of the day. If you are launching a snow-removal service, don’t start pitching in the middle of summer. For example, no one wants to be pitched about Christmas in March. Be story focused. Focus the story on the facts, rather than the opinions and speculations. If you want to add an opinion, put it in quotations. Follow the 5W AND 1H rule. Sales people should also pay attention to these tips as they are applicable to those who do email marketing campaigns. InfoFlo is an on-premise CRM tool that offers an email marketing add-on to all interested enterprises looking to build their customer base this way. Each user with email marketing access can easily create professional email marketing campaigns and email templates, manage subscribers, and send to unlimited contacts all for one flat fee of $49/user. Having a hard time completing tasks on time due to a lack of motivation? Here are 8 tips for beating the biggest productivity killer – Procrastination. How often have you finally gotten to start a difficult project, only to be interrupted the minute you get to it? Turn off your mobile phone, access to social media (unless it is for work, television ad do some work. Cancel out noise and distractions by listening to some music. Very often, I create an extensive play list on YouTube that plays the music non-stop for 2-3 hours. That way I don’t have to touch anything or switch tasks to put on a new song. Commit to working for the time you have set. You will also know when it’s time to take a break. I encourage you to take on the Pomodoro Technique, which has you work in four 25-30 minute intervals and take 3-5 minute breaks in between the intervals. After 2 hours have past the technique encourages its adherents to take a 15-30 minute break. Work only when you feel peppy and awake, not when you’re exhausted. That regularly means not starting a new task 30 minutes before home time. It may be wise to start the task the next morning on a clear mind. Ask a family member, friend or co-worker to remind you of your task if you get distracted or off task. Have them keep you in check and don’t forget to return the favour if they ask you. Take yourself out for lunch or coffee break when you’re done the hard task to reward yourself for staying on task. Feel good about your accomplishment and feel the large strain off your back. This is one of my most useful secrets to productivity. Why is this so hard? I could never understand. But whenever I have trouble getting started because I don’t know exactly what to do, and I ask for help, I’m amazed at how much it benefits me and my team. President Eisenhower once said “plans are worthless, but planning is everything”. Motivation for doing things is inter-woven with what goals you make as well as the plans you build to achieve them. A 2006 study published in the Journal of Personality and Social Psychology found that abstract thinking about goals can go a long way to help with disciplining yourself. Your goals should be the large scale things that you hope to accomplish, but your quotas are what you must get done everyday to make it happen. What are you doing to stop procrastination? If you feel like you need to work on productivity, contact Carmel Vision.We have just the right solution for your business needs. It is our belief that change does not always have to necessitate breaking the bank. The weekend has arrived, and whilst it might be tempting to simply sit back and do ‘nothing’, it will only leave you wondering why it went by so far. Here are 5 ways to improve weekend productivity, in ways that boosts energy, helps you tap into your creative synapses, and prepares you for a productive workweek ahead. It’s vital to keep your schedule on the weekend consistent with your schedule during the workweek. Not having to work on the weekend does not necessarily mean you should spend half of your day in bed. Sometimes excessive sleep causes a hangover-like feeling. Your body follows a natural clock and after you’ve got used to waking up at 6 am each day, waking up at noon or later on the weekends will upset that routine and your mood. 10-20 minutes:For a quick boost in energy levels and alertness. 60 minutes: To improve memory for facts and faces. Every Sunday, I make a list of what I have to complete during the workweek using a CRM Software tool I purchased. I allot a few hours to get the tasks done. I also save the last 30 minutes of each workday to creating a plan for the next day with two priority tasks. I also use that last 30 minutes to finish up tasks and read the rest of my emails. This makes early mornings so much easier! Weekends are great for exploring and relaxing. Make a list of activities you would like to try within one-hour distance of where you live. Maybe it’s biking around your neighbourhood with your children or partner. Perhaps it is camping in a nearby park. Whatever it may be, remember that life can’t just occur on vacations once a year, so invite in some serendipity. It’s all well and good being productive with your time on the weekend, but to what end if you really don’t know how to allocate your time properly. Most people spend their time and energy trying to be more efficient without having measurable goals in place — in other words, they don’t focus on the things that are most important to them and their goals. By knowing precisely what you want to achieve, you will know exactly where to concentrate more. Having set goals can also be a good motivator. Looking to become more productive on the weekend? 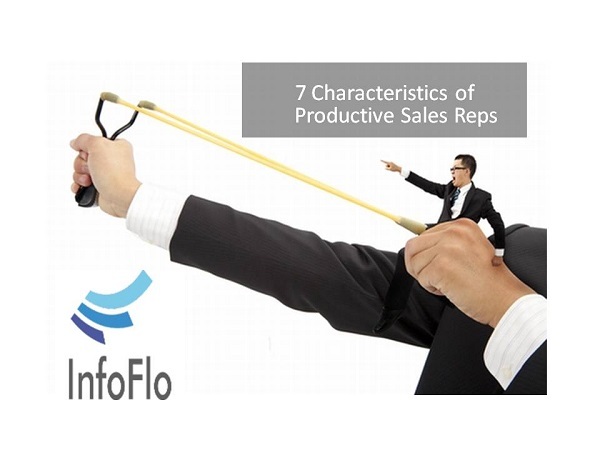 InfoFlo CRM Software and its various productivity-enhancing features is a good place to start. Click here to download free trial. A decade ago, one paragraph would take up an entire page if printed. Today it is recommended to have no more than 4 sentences long. That’s because no one likes to search for a message hidden in bulky texts. This applies to emails, PowerPoint presentations web content, promotional materials and the like. Group your information under headings and pace the flow with bullet points and spaces in between. Force your audience to pay attention and don’t give away the punchline too soon. Perhaps add audio and video clips in between. You would think this is obvious and that you’d never make this mistake ever. I see some of the most intelligent and brilliant speakers and email blast writers talk about what they’re interested in rather than what the audience is interested in. The biggest names in the Silicon Valley became successful not because people believed in what they did, but because they believed in their cause and why they were doing it. Every presentation expert extols the power of stories. There’s evidence that people are prone to listen to stories. When you say “ I’ll tell you a story about…” your audience will turn their heads. Your stories should of course reinforce the point you’re making. Keep those stories short, especially when you are addressing it in emails and podcasts. Insert short multimedia clips. A well-produced video is a sure way to capture the attention of your audience. It provides variation in the format and allows the audience to see remote facilities and hear from different people. The video may include customer testimonials, a special message from the CEO or a promotional corporate message, to name just a few IDEA.